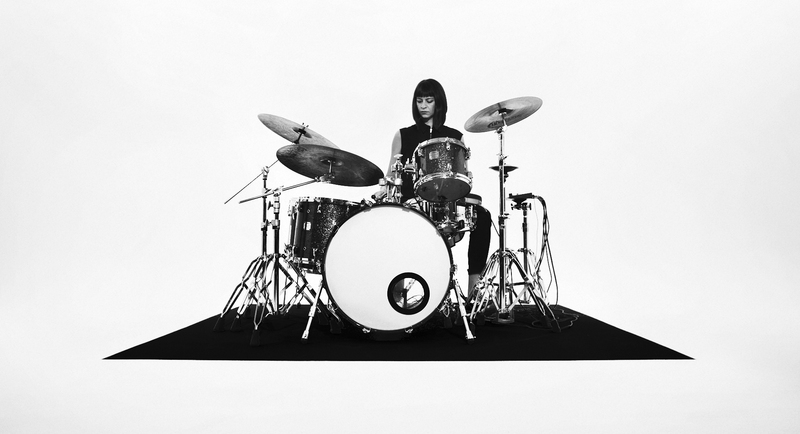 Alongside her drum set, Katharina employs various drum synthesizers, gongs, tam-tam, myriad small percussion, plus an amplified kalimba via guitar effect pedals. Furthermore, the music is playable live, solo, and miraculously without the use of playback. The breadth of sounds on display is bewildering for a solo drummer – distorted melodies weave their way around jagged snare drum hits, while vibrant tom fills scurry elsewhere around hefty blowouts of monstrous distortion. On the album’s 8-minute centrepiece, a cavernous lattice of gong notes slowly collides to gain a creeping colossal power, taking rhythm far out beyond the confines of more standard beats. Download press photo here. Photo credit: Michael Breyer.